Every month Nic and I go for breakfast before work, it’s a thing we do and we love being so judgemental of where we chose. 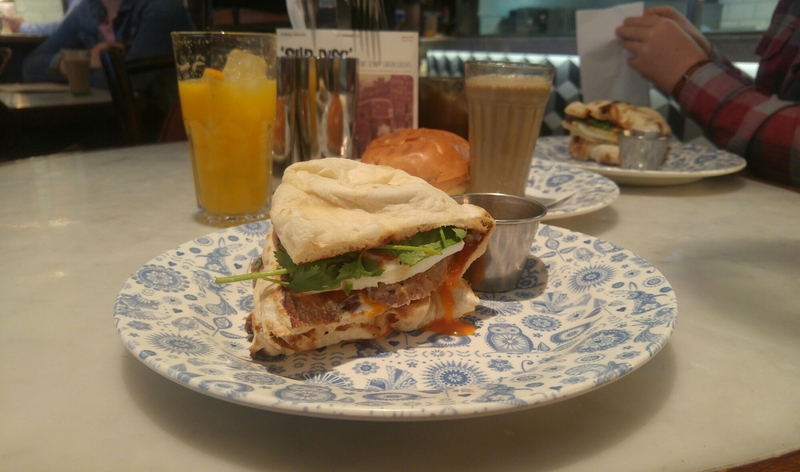 This month we went to Dishoom for breakfast, it was absolutely phenomenal. I had a sausage and egg naan (the photo) and it was incredible. You all seriously need this place in your life! Side note, today is my 400th consecutive post on my blog! So yay! Hope you’re all having a lovely week, mines going much better now you’ll be glad to hear!